What is Appy Pie ? 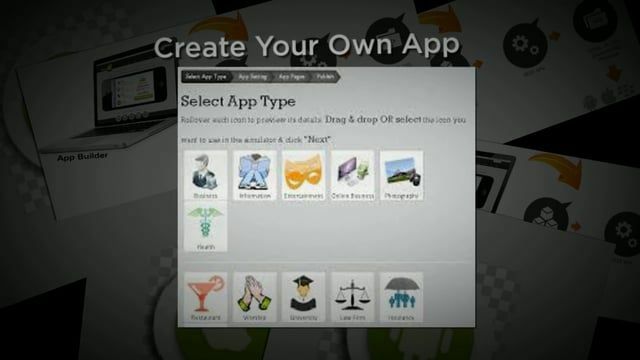 A smart app creator that helps in building and monetizing various kind of applications for mobiles and smartphones. Being compatible with Android, iOS, Windows 8 and Fire OS platforms, it allows you to create great applications in minutes with zero coding skill. You just need to select the platform (on which your app will be running) and category (Business, Education, Travel, Entertainment, Fashion etc. ), then choose a layout and app pages, after which you will be redirected to the free sign up page. Register with your Google or Facebook account and get started! Appy Pie is suitable for small business firms, e-commerce stores, cafes and restaurants, students, clubs, NGOs and more! How much does Appy Pie cost ? The pricing for Appy Pie starts at $15.0 per month. 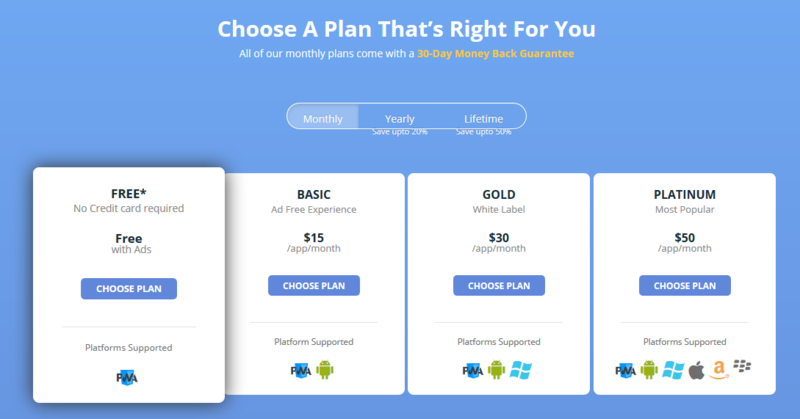 Appy Pie has 3 different plans such as - BASIC at $15.0 per month, GOLD at $30.0 per month and PLATINUM at $50.0 per month. Appy Pie also offers a Free Plan with limited features. Pros: Makes building and monetizing mobile apps super easy. Cons: It is a great tool with nothing to dislike. Overall: Overall, it is a great DIY mobile app builder and even features a marketplace of apps that were built with the software. Cons: Apps need to be integrated with 3rd party software which ends up being pretty expensive. Templates leave much to be desired. The fast and kind help. It's easy to create an app and get support when needed. nothing, all good. I have no complaints and would recommend appypie to anyone looking to create an app. conference app. We can have all of the conference info at everyones fingertips. Overall: Some of the features are limit, and not editable. If we have full access to customize the product is worth and unique. Pros: this software makes it so easy to create an app without much need of any technical background.It is so easy to use and no codes and syntax are required. Customer support is so great they are always ready to help me out. Cons: I haven't faced any difficulty in creating my first app.The UI is simple which really helps. Pros: Creating mobile apps is now easy like eating pies.With few drag and drops and without a single coding line. Compatible with iOS Andorid and windows too. It is too big for small people … I mean every day a new problem an new idea but every day another person on chat ….. I know that is cheap that way but I do not like it …. support team on mail is total vaste of time. I do it …. I have an idea but freelancer are too expensive so appy was the only way to start my online bussiniess…. Is there any completely free application development software? Yes. You can build unlimited applications using Appy Pie.